To get ready for this season we narrowed down the list of indie patterns to our top picks to sew and wear for summer. These include six versatile patterns that are functional, stylish and will make great additions to anyone’s warm weather wardrobe. Sew one to fill a void in your existing handmade closet or sew them all to create your own mini summer capsule wardrobe! Without further ado, let’s take a look at our Summer Top Six! Summer is all about beating the heat and finding ways to stay comfortable but still stylish. 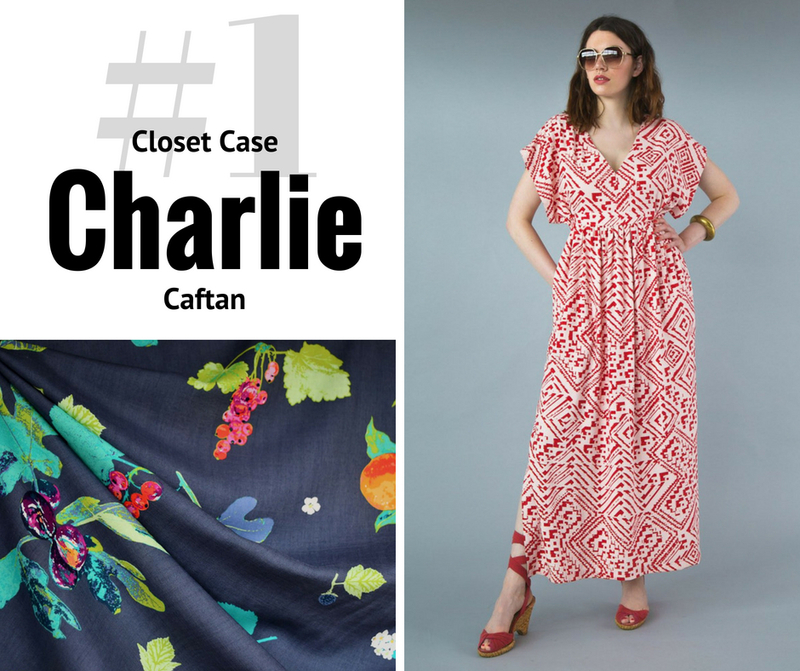 The Charlie Caftan has got you covered! Its loose fitting silhouette is light and airy and will help keep you cool on the hottest days. A great choice for a summer tunic, vacation maxi or beach cover up, you can choose between two variations and find the length that best suit your fabric and summer plans! When creating your own Charlie have fun with your fabric choice! Well suited for a range of wovens, we especially love drapey rayons, soft linens and breathable cotton shirtings. Step out and go with a striking print or keep things more classic with a textured solid. One can never have too many camisoles! 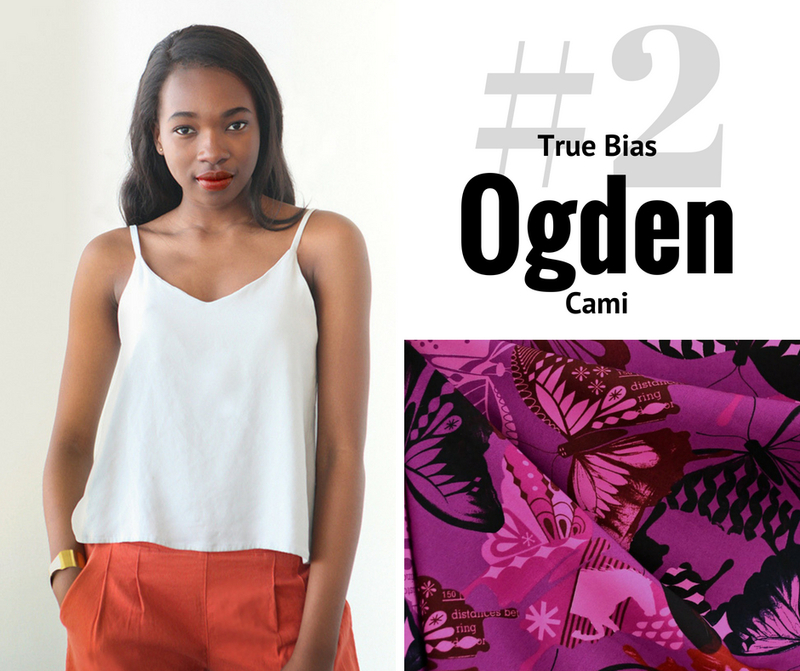 This spring the Ogden Cami from True Bias became a stand out customer favorite and is one of our top picks for sewing this summer. It is a wardrobe staple that you can wear on its own on those hottest days or layer with just about anything else the rest of the year. While this pattern only offers one variation, it packs a powerful punch in terms of impact for your handmade wardrobe. In terms of fabric choice, similar to the Charlie, just about any woven will work! This summer we are particularly excited to use rayons and lawns. For most sizes this pattern only requires about 1-1/4 yards of 54″ wide fabric making it a great project for show-stopping fabrics like a Liberty lawn or digitally printed linen! 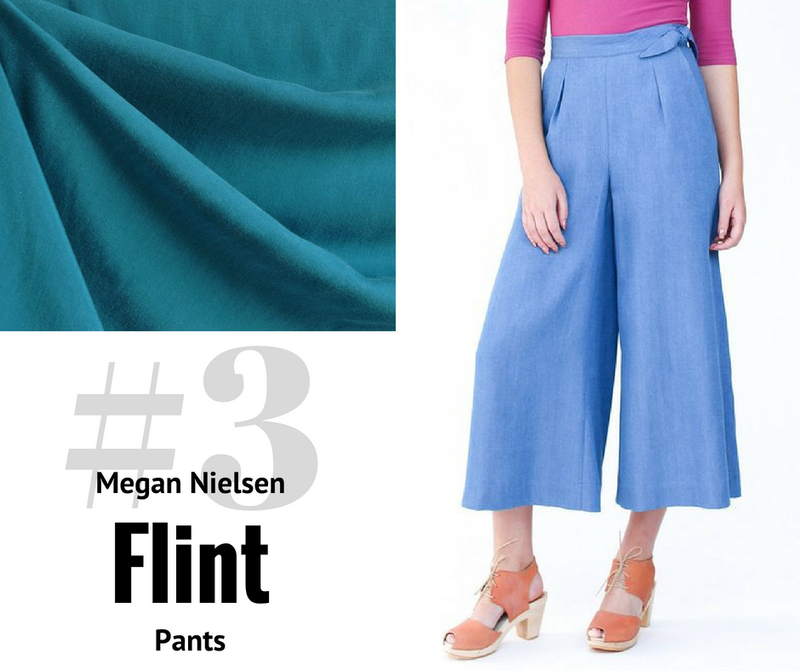 Sometimes in the hot weather clingy pants seem like the very last thing you want to have on—enter Megan Nielsen’s Flint Pants! These wide leg, drapey pants offer you the versatility of pants while still being light and airy like a dress or skirt. This pattern can be sewn in a variety of lengths (including shorts!) and offers different waistband options to further personalize your Flints. Fabrics with amazing drape are ideal for this pattern during the summer. The more movement the better, right? Try a linen/rayon blend or tencel twill for the perfect summer pants! 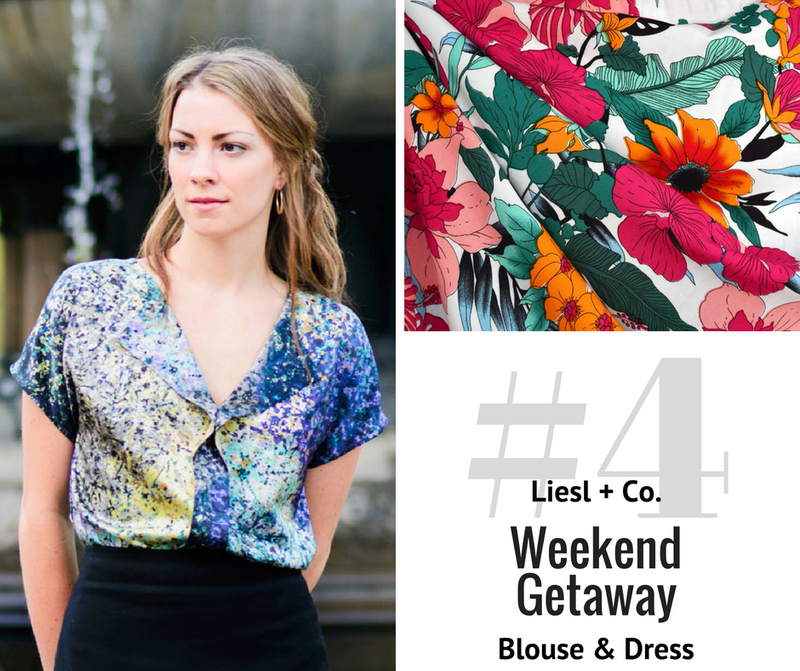 Pick #4—Weekend Getaway Blouse & Dress from Liesl + Co. Looking for something a little dressier for summer? Maybe something cool but still work/evening appropriate? The Weekend Getaway Blouse & Dress is a great choice that offers a bit more sophistication and style to a light weight blouse. Quick and easy to sew, this pattern offers both a blouse and dress lengths and optional front pockets for either. Best suited for rayons and other light weight fabrics, this pattern is an amazing canvas to show off your favorite prints. The construction of the open collar also opens the door for color blocking or mixing prints and solids. Don’t be afraid to experiment! This summer marks the official return of the overall! They are a must-have in ready to wear right now and we are excited to welcome these comfortable pants into our handmade wardrobe. 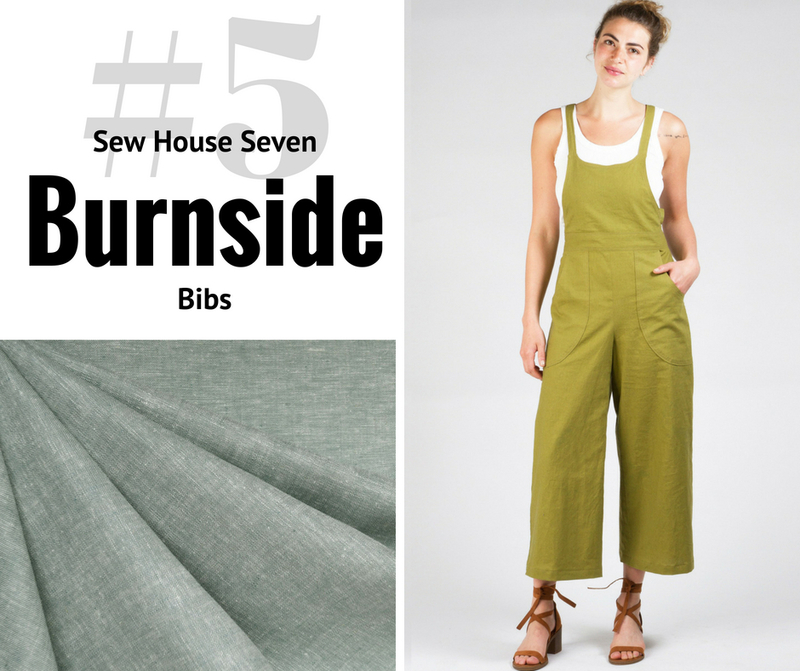 Sew House Seven’s Burnside Bibs stands out as a modern take on this nostalgic favorite, we love the wide legs and unique tie straps for this summer. Choose from two silhouettes (one more tailored than the other) and experiment with different lengths, maybe even short bibs! Similar to the Flint Pants, we are leaning towards bottom weights with amazing drape and movement. Tencel twill, linen or even a light wight denim or denim shirting would be great choices. 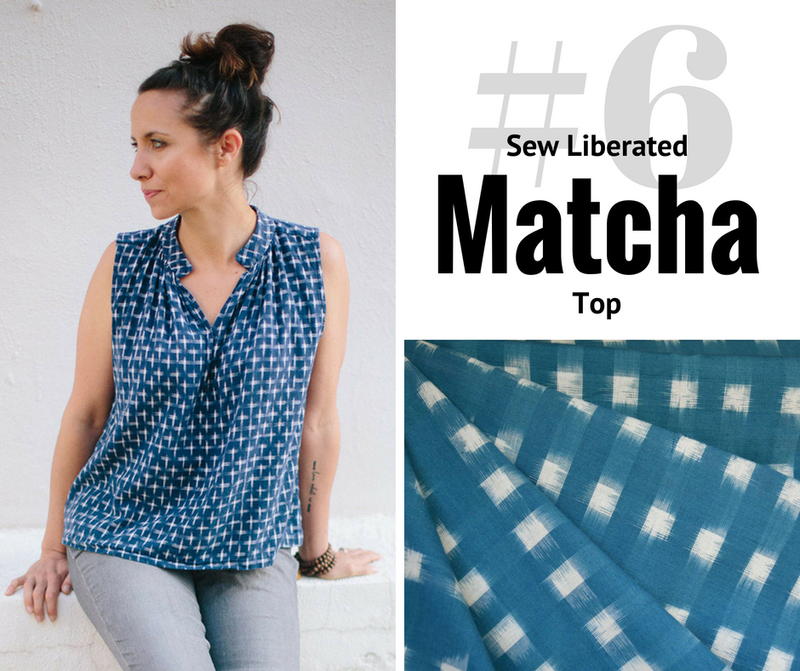 Last, but not certainly not least, Sew Liberated’s Matcha Top. This versatile pattern offers both a sleeved and sleeveless version, making it a great choice for any climate or style. Change up the look with different fabrics giving it a bit more drape or structure depending on your choice. We love embracing the bohemian vibe this top offers and pairing it with different yarn-dyed shirtings, like an ikat or plaid. Soft drapey linens and rayons would also make great choices for the Matcha! 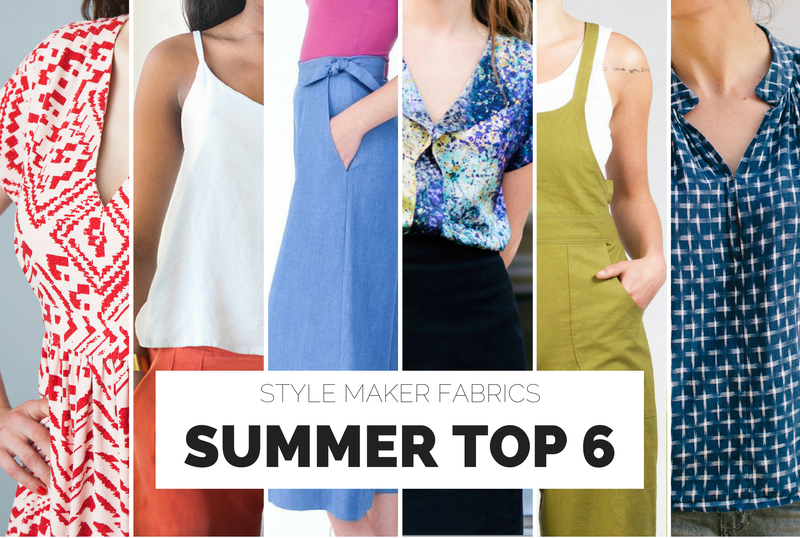 That wraps up our top 6 pattern choices to sew this summer. If you are interested in specific fabrics to pair with each pattern check out our Top Picks collection as part of our summer trends. Each pattern is listed with seven of our favorites! Hopefully this inspires some additions to your sewing list this season! Are there any you can’t wait to wear now that the warm weather is finally here? Or, did we miss one of your favorites? We’d love to hear! Love your choices. But I will leave the overalls to you younger gals. Personally, I have been working on Eileen Fisher’s Great 8 concept. My pieces are more fitted but with simple lines. It makes sewing easy and I can always pull an outfit together. Tunic tank tops and slim, loose pants. I use Silhouette Patterns for classic and fit designs. The Sewing Workshop Patterns are very loose fitting, great for the typical older woman fit issues. Your fabric color range is very fun, extensive, and makes me smile. I love using your fabrics and will use a few of these Indie patterns soon.